Mt. Pleasant Animal Shelter Needs Your Help! 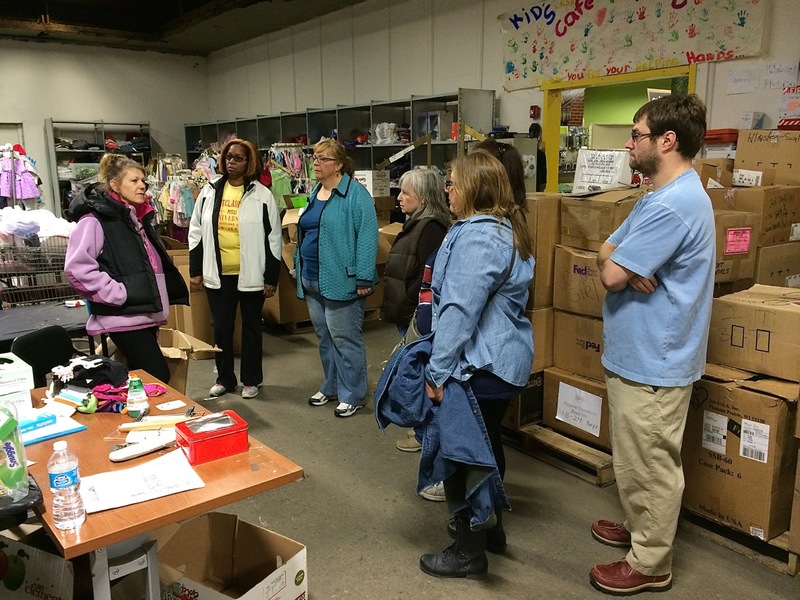 Members of AFT Local 1904 volunteered at the Mt. Pleasant Animal Shelter on Sunday, April 6, 2014 to help care for the animals. However, the shelter does need donations to help feed and provide medical care for the animals. To make a contribution, visit AFT Local 1904's giving page to make an online donation. Donations will be accepted from now until April 30th. AFT Local 1904 is pleased to announce that tentative agreements have been reached with the University on a variety of items. The only items requiring ratification are those which have never been voted on by the membership and are not implementations of the Statewide Agreement. The agreements are available on the Contracts Tab of AFT Local 1904's website (http://www.aftlocal1904.org) and listed below. Please review each item, especially those items that require ratification by the membership. a. First reading: The April 9th General Union Meeting will serve as a first reading and discussion of each item. b. Ratification: The ratification vote will occur at the May 7th meeting. All of the items will be presented as a package for an up or down vote by the members attending. c. Voting: Voting will be done in person by attendees at the May 7th General Union meeting. Only those in attendance who are full members can vote. AFT Local 1904's own Krystal Woolston is one of the finalist for AFT's Everyday Heroes 2014 Award in the Higher Education Category. This is an affirmation of the outstanding work Krystal has done both on campus with our students, in our community in the aftermath of Hurricane Sandy, in the Gulf after Hurricane Katrina and recently in Haiti working with kids in schools. She gives freely of her time and this recognition is the least we can do as a community to pay her back. You can read more about why helping others is more than just a job for Krystal on AFT's website. Please vote now for Krystal Woolston and tell your family and friends to vote for her as well. Let's let her know how much we appreciate what she does and who she is. 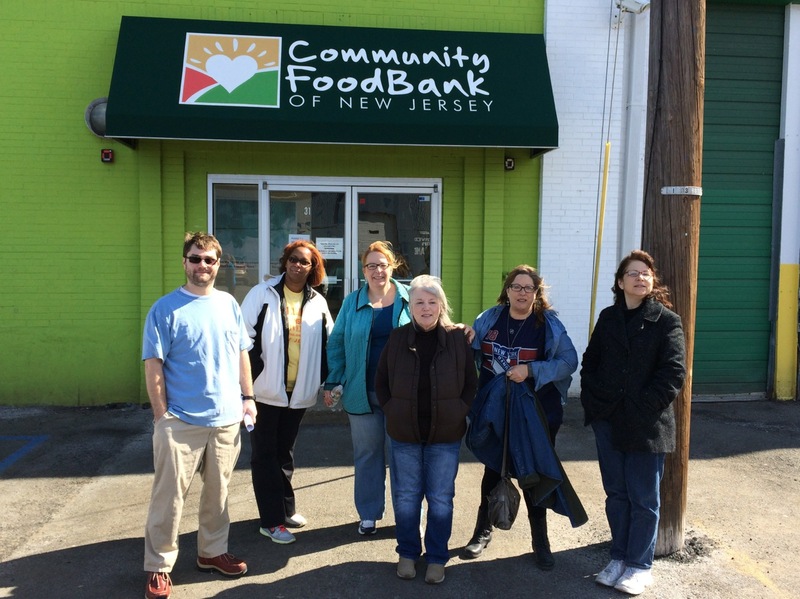 On Saturday, March 15, 2014, a team from AFT Local 1904 volunteered at the Community Food Bank of New Jersey (CFBNJ). The entire team found it to be a rewarding experience. Outfit for a 5-year-old boy. About the experience Rich Wolfson, AFT Local 1904 President, said "Not only did we do some important work, but it was fun." 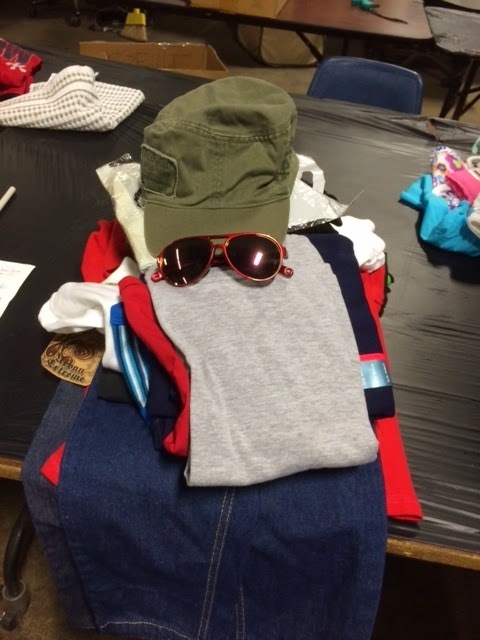 The group put together outfits for children and their families that made requests through Newark's Head Start Program, and homeless shelters in Jersey City and Union City. Many thanks to Nat Bender of AFTNJ and his wife, Kelly, Mylka Biaschochea, Louise Davies, Amy Krenzer, Joann Pinto, Alex Sperling, Deb Solomine, and Rich Wolfson for giving their time and effort to help out at the CFBNJ. As per the Constitution and ByLaws of AFT Local 1904, an Elections Committee has been properly constituted consisting of members who are not running for office. The committee members are Louise Davies, Brian Abrams, and Paul Martinez, who is serving as chairperson. Also, eleven (11) delegates to the State Council must be elected. It should be noted that we are entitled to 12 delegates to Council but the President is automatically a delegate. Elected Officers may also serve as Council Delegates. Monday April 14th-Nomination Forms Due. Week of April 28th-May 2nd, The election. Monday May 5th, Announcement of Election Results. Any full dues paying member wishing to have their name on the ballot for any of the above positions, including Council Delegate, is required to complete a Nominating Petition with ten (10) signatures of full-dues-paying members, which is then delivered to Paul Martinez, via interoffice mail or directly in his mailbox in the Technical Services area in the Library, which is behind the Reference Desk to the left. The election will be conducted the week of April 28th and will be open for 5 full working days. If there are any questions please direct them to me via email at Paul.Martinez@montclair.edu. If you want to confirm whether or not you are a full dues paying member, please contact the Local's office at ext. 4453 or via email at union@mail.montclair.edu to confirm your membership status. The Audit Committee has completed its work for the 2012-2013 fiscal year. AFT Local 1904 is pleased to announce that the Audit Committee has found the finances of the Local to be in good order. Many thanks to, Jessica Brandt, Viktor Turchyn, Bob Browning and Bill Vincenti for their hard work. The Audit Committee's report on its findings can be found by clicking here.